Completing a four-week stay at the space station, the Dragon cargo capsule departed the research outpost Monday at 2:41 a.m. EDT (0641 GMT), when astronaut Jack Fischer commanded the station’s robotic arm to release the spacecraft. 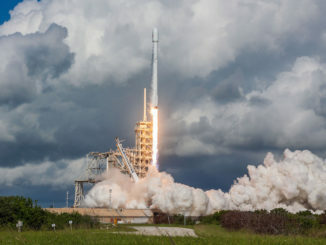 Launched June 3 from NASA’s Kennedy Space Center aboard a Falcon 9 rocket, the automated logistics carrier delivered nearly 6,000 pounds of equipment and research hardware to the space station. The capsule made its second trip to the orbiting complex. SpaceX refurbished the craft following its first mission in September and October 2014. Items stowed for Dragon’s return included live mice from an experiment to investigate the effectiveness of a therapeutic drug to promote bone growth, combating atrophy in astronauts in space and osteoporosis patients on Earth. The mice will be euthanized and examined after landing. 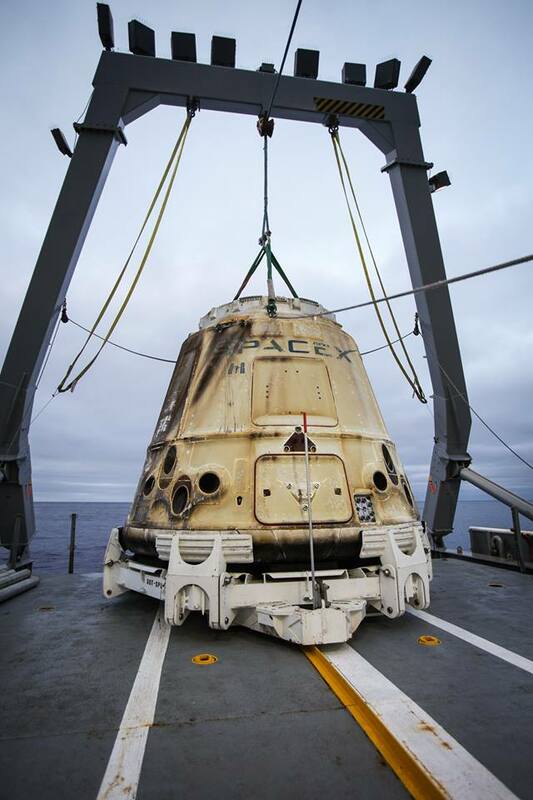 Dragon’s homecoming was pushed back a day because of rough seas in the splashdown zone around 260 miles (420 kilometers) southwest of Long Beach, California. Under the control of SpaceX engineers in Hawthorne, California, the Dragon capsule fired its thrusters in three pulses to fly a safe distance away from the space station. 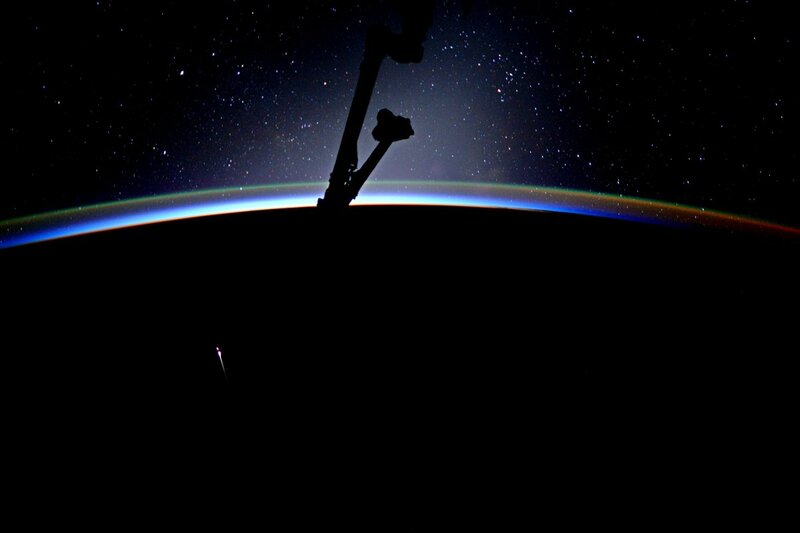 A few hours later, the supply freighter braked out of orbit with another rocket firing, jettisoned its disposable unpressurized trunk and service module, then plunged into Earth’s atmosphere for a searing re-entry. Soaring southwest to northeast, the capsule deployed two drogue parachutes and three main chutes before splashing down, SpaceX tweeted at 8:14 a.m. EDT (1214 GMT; 5:14 a.m. PDT). The return marked the first time a Dragon capsule has splashed down at night. Fischer captured a view of the plasma trail behind the Dragon spacecraft during re-entry as the space station sailed overhead. A SpaceX recovery team hoisted the craft onto a boat for a two-day trip to the Port of Los Angeles, where time-sensitive cargo and scientific samples will be handed over to NASA and research teams. 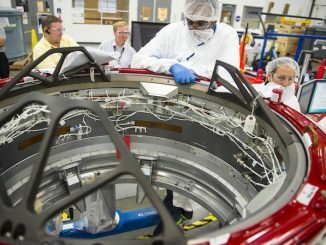 SpaceX replaced the heat shield and other parts of the capsule after its 2014 flight, but officials said the primary structure, propulsion system and sections were original articles. Monday’s splashdown concluded SpaceX’s 11th resupply mission to the space station. Including flights already accomplished, SpaceX has contracts with NASA for at least 26 cargo flights to the orbital research lab through 2024. 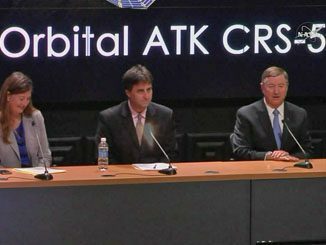 The company’s 12th cargo mission is set for launch Aug. 10 from the Kennedy Space Center.